In any supply chain, service relationship management (SRM), or field service management, is a key component that helps a business run at its full potential. SRM is recommended to maximize a business’ interests in the Internet of Things (IoT) and legacy applications thanks to automation capabilities and time-effective tools. According to the Construction Executive, SRM can also reduce downtime, cut administrative costs, and increase productivity through “a closed-loop, collaborative, and highly effective approach to information sharing”. It is also a highly important tool that makes communication and collaboration between team members a simple, streamlined task. SRM’s role in managing IoT-related services is becoming increasingly visible, thanks to the sheer volume of connected machines that run within the IoT stratosphere. Michael Riemer, VP of products and channel marketing at Decisiv, wrote in an article for the IoT journal: “SRM is an approach that enables more efficient and effective management of service events by aggregating, in real time, all relevant data at the point of service, and by ensuring all parties in the service supply chain ecosystem can communicate and collaborate easily.“Think of it as the glue that brings it all together,” he adds. We’ve rounded up four SRM providers that could maximize your organization’s supply chain potential. Oracle’s highly customizable and optimizable cloud solutions are popular among businesses, allowing them to develop a service process regardless of their supply chain complexities. The product covers an array of organizational aspects, from understanding a company’s capacity, to focusing resources on the most pressing and time-sensitive tasks, it helps assign the right employees to the right jobs, and even empowers field-based employees with anything they need to get the job done. Oracle’s field service management also provides businesses with a real-time, 360 degree view of its operations so administrators can keep track of the supply chain activities and make informed decisions. 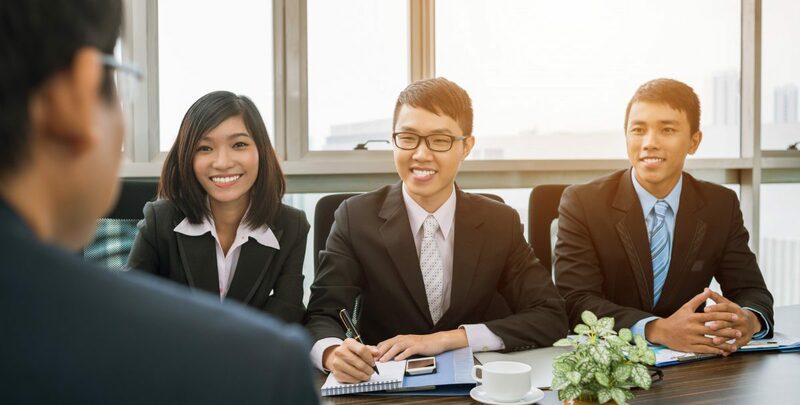 Keeping customers in the loop is crucial to any business’ success, so Oracle’s solutions aim to give customers more choices and information through alerts on their “preferred channels” before or after your meetings with them. This ensures customers feel like they are always part of the process and play a key role even after decisions have been made. Acquiring and implementing this system has been made simple and support is offered every step of the way through a webcast series, informative blogs, and dedicated customer service. The Customer Service Delivery Platform Corporation (CSDP) is a service-oriented software company that promotes flexible, agile solutions specially-designed to automate field and customer service, reverse logistics, warranty and contract management processes. With over 30 years’ experience of servicing businesses all over the world, CSDP is well-positioned to deliver an effective SRM solution that increases efficiency, reduces expenses, and increases profitability. Through the provision of an enterprise-class solution that boasts extensive features and functionality for an impressively affordable price, CSDP helps companies solve issues at rapid pace, greatly enhancing rates of customer satisfaction while significantly boosting company profits. Their SRM Suite promises to reduce labor costs while at the same time improving customer satisfaction levels with its SRM Service Dispatch software, which also integrates with a number of companion software products to optimize efficiency. According to the CSDP, a considerable number of clients have noticed an improvement of up to 15 points in terms of customer satisfaction, spurring a boost in overall profit margins of up to 10 percent. These figures reassure existing and potential customers that the solution has business’ best interests at heart, continually working to improve the entire company structure rather than just a standalone part. Find out more about CSDP Corporation here. 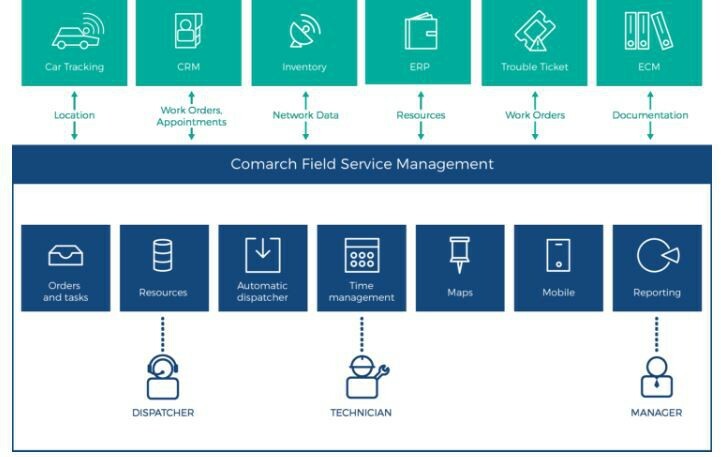 Comarch’s field service management solution promises to make operations more efficient by making sure all available resources are being used in the best way. The Krakow-based solution provider has been serving companies in 50 countries for over 20 years, and is dedicated to gaining a deep understanding of a client’s organization in order to offer their best service. Comarch covers a variety of industries, including telecommunications, airlines and travel, banking and finance, retail, oil and gas, healthcare, public administration, and SMEs. Automating processes such as task assignments and scheduling can help businesses reduce costs and glean back precious time spent doing those things manually. Comarch FSM is able to delegate skills-based tasks while also keeping in mind service level agreements, KPIs, and workload forecasts. Their system is particularly useful to companies that operate across large territories, using a built-in Geographical Information System that processes information based on an employee’s location and the resources at hand. The solution can also be accessed via mobile devices, allowing technicians on the field to access the most up-to-date and crucial data they need. This can help boost performance as technicians can take action according to the detailed information at hand. Oneserve was born out of the need for a simple and quick SaaS for industries to use, with minimal configuration and energy spent on figuring out an entirely new system. The original software was developed by Connaught plc, but has transformed into an impressive scalable SRM solution serving businesses across all industries. The company prides itself in being able to provide a software for organizations of all sizes, regardless of its workforce size. Oneserve is simple enough that it can even be implemented on its own without any additional support, called Oneserve Self-serve. Otherwise, the company offers two products: Oneserve Enterprise, which offers a complete suite of services, and Oneserve Lite, which has all the basic SRM capabilities. The young SaaS provider assures customers that its tools can ease the monumental task of managing a mobile workforce through intelligent scheduling, performance boosting visibility, accurate reporting, and remote access from anywhere in the world. Oneserve’s work management software acts as a hub for administrators and team members with enough visibility to update and monitor every step of the supply chain. It can also integrate with over 150 interfaces, making each transition seamless for clients.